The Wind River mountain range is visible for miles along the South Pass route. SPACE is one of Wyoming’s defining characteristics. To each resident, it bestows a legacy of open landscapes and endless vistas. Where the casual visitor sees emptiness, most Wyomingites see a land teeming with life, memory and purpose. Across those spaces is written the history of our great state – the tepee rings and signature rocks; the enduring ruts of the historic emigrant trails and abandoned, sun-burned homesteads; the played out mining camps and outlaw hideouts. While there are obviously literal "tracks" across Wyoming in the form of railroad tracks, wagon ruts, and paved roads, tracks can more widely be understood as something left behind by someone or something that has passed through. In a way, all historic and cultural landscapes contain tracks - the evidence of someone who came before. Wherever we are, Wyoming’s landscapes connect us to our past. Landscapes show evidence of the people who lived there and impacted the land. To determine whether something might qualify as a cultural landscape under NRHP criteria, you need to look at the linkages, the connective tissue that holds the landscape together. One of the issues to be considered is spatial organization. Where do things occur within the landscape? Organization does not have to be elaborate but it will show how humans have interacted with the area. Other things to consider are the circulation patterns (what binds the landscape together? ), the topography, the vegetation (native or imported), water features (natural or manmade), the views and vistas (natural or manmade) and the land patterns (rigid or generic). One of the most difficult aspects in nominating a cultural landscape to the National Register is the fixing of defensible boundaries. Protecting these special spaces is central to AHW’s mission. Working with land management agencies, we help ensure that these spaces can continue to tell Wyoming’s rich story to future generations. Our Tracks Across Wyoming campaign promotes innovative ideas for saving our cultural landscapes. Yes! 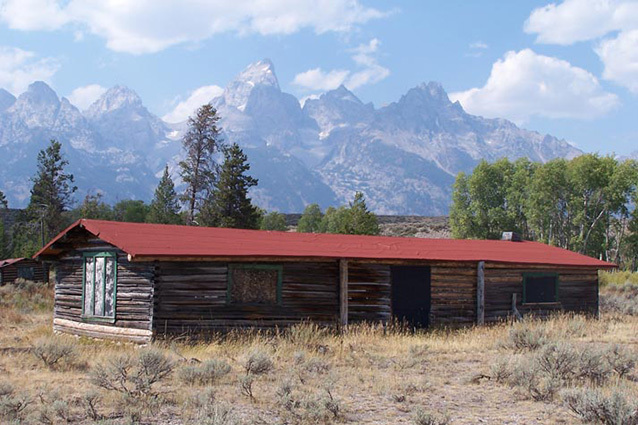 These potential historic districts and unknown cultural landscapes are special to Wyoming. Learn more. Muddy Park Splash Dam in the Medicine Bow-Routt National Forest in southeast Wyoming. Is this a cultural landscape? Bar BC Dude Ranch located in Grand Teton National Park. Yes or No? Yes! This Dance cabin is one of the few pieces that make up the cultural landscape of the district. Learn more.